27 visits logged here. Have you been? Click here to log a visit. 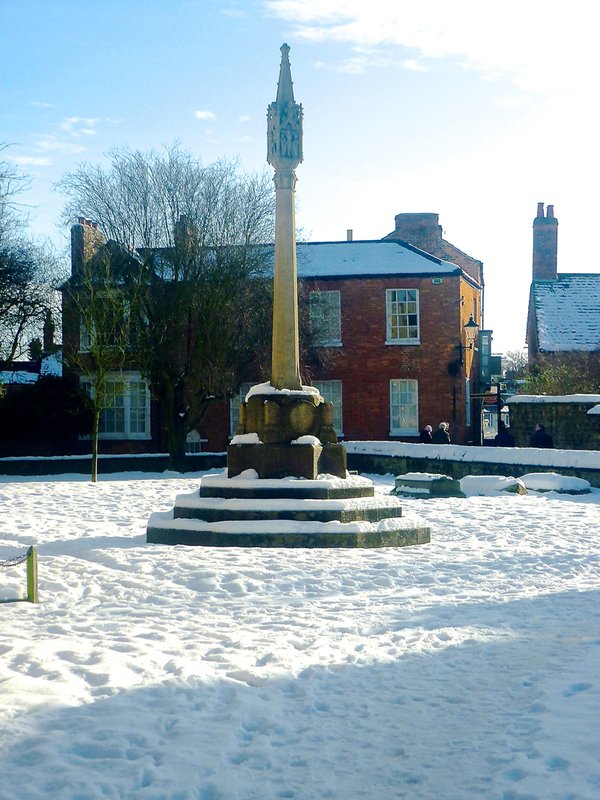 A public meeting in Oakham decided to raise £1000 to pay for the town's war memorial which would be a cross in the churchyard. A Mr Comper designed the cross which stands on a three step octagonal base. At the time it was to record the names of 102 men from the town who died but more names came to light and now it has the names of 111 men and one woman. 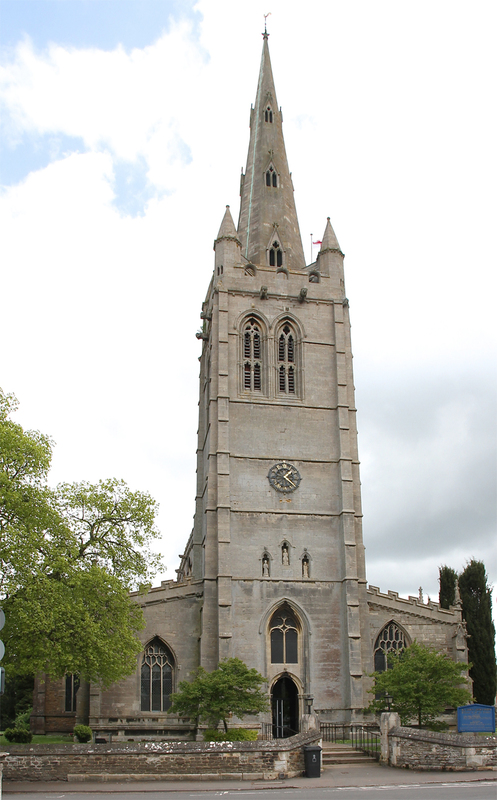 However, we have records of another thirteen who are not remembered here, bringing the total of Oakham's war dead to 125. The extra names are mainly of men who were no longer living in Oakham when the war began although they had been born and bred in the town. 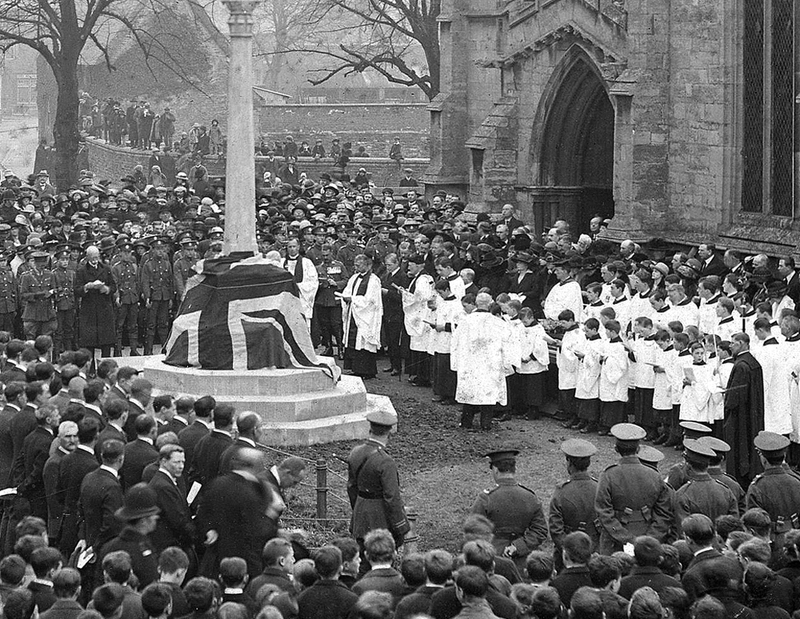 The memorial was unveiled with great ceremony in 1924 as photographs, rediscovered by Richard Adams, from that day show. 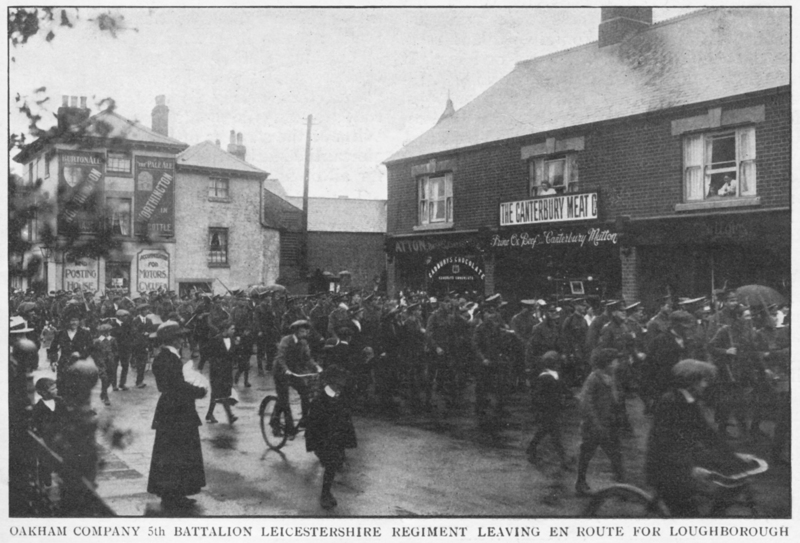 Money was also raised to renovate the Institute buildings on the High Street so returning soldiers could have a club. The Memorial Institute as it became known, later became the library and is now the Citizens Advice Bureau. 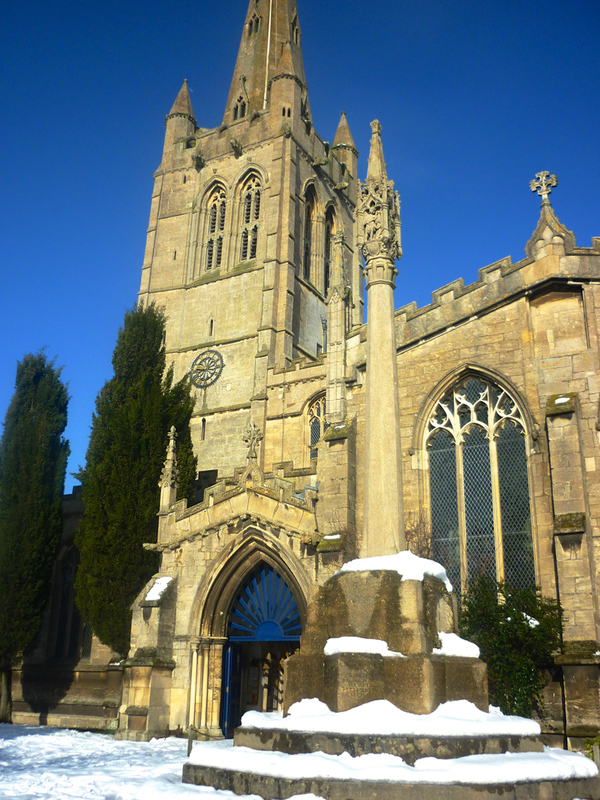 Do you know something about Oakham War Memorial (All Saints' Church) that hasn't been mentioned? 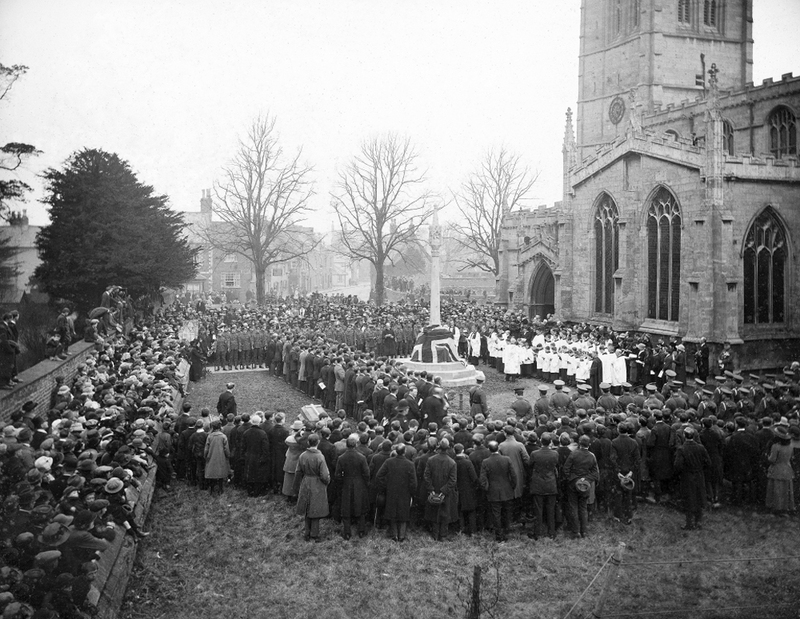 The Grantham Journal of 8th April 1922 records that a lead casket, containing the photographs of the fallen and a copy of Rutland and the Great War, was concealed within the heart of the war memorial prior to the unveiling and dedication ceremony.The memorial was unveiled by Major-General Sir A E Codrington, K.C.V.O., C.B.The Right Rev. Dr Woods, Bishop of Peterborough performed the dedication.The stone used in the structure was donated by Mr John Davenport- Handley, owner of the Clipsham quarries. The architect was Mr J M Comper, architect, and the carvings were by Mr W D Gough, sculptor, both of whom were from London. The steps were made by a local craftsman Mr Draycott of Draycott and Stimson, Park Lane, Barleythorpe Road, Oakham.